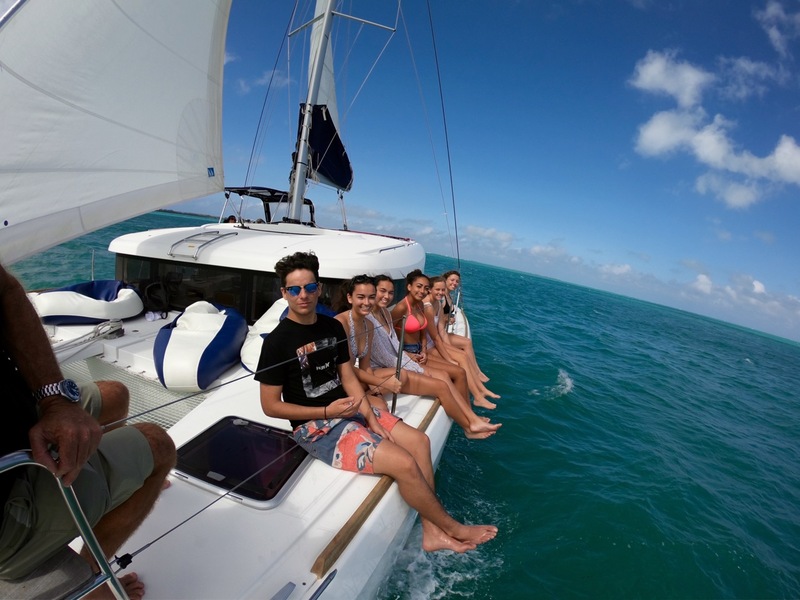 "Cayman Catamarans" is the newest sailing catamaran introduced by the parent company Sailcayman Ltd; established in 1996 Sailcayman is one of the longest established and well respected Private Charter Companies in Grand Cayman. Hailing from Ireland, Neil Galway the company owner/operator has lived on island since 1987 and recognized the trend towards sailing Catamarans. "The modern day Cat offers Great Speed along with Stability and heaps of space to spread out and Relax". "Tom Cat"is the Newest Sailing Catamaran on Grand Cayman and at 39' this 2014 Built Lagoon is state of the Art, with capability to carry Private Charter Parties of up to 20 passengers comfortably. Our concept with "Tom Cat"is to provide a very relaxed excursion spending more time at each and every spectacular location, with Charters ranging from 3-8 hours duration.